Retro Dessert- Christmas Maraschino Cherry Balls ! Perfect for potlucks! This retro Christmas dessert treat brings me right back to my childhood – memories of trying to sneak another one of these Christmas goodies at my grandmother’s house over the holidays! 1. Cream the softened butter and confectioners’ sugar by hand or kitchen mixer. 2. Mix in coconut and whipping cream – adjust cream. Refrigerate 20 minutes or until firm. 3. Drain maraschino cherries and set aside. 4. Using hands, take walnut size amount and shape the icing sugar mixture around each cherry. 5. Finish by rolling each of the little cherry balls in the graham cracker crumbs or nuts. 6. Refrigerate several hours or overnight. Hope you enjoy this retro desert as mic as I do. What is your favorite retro or vintage dessert? that brings back happy memories for you? I LOVE LOVE LOVE when people send me photos of work they have done using my cutting file designs. Diane of Done by Diane blog Sent me a pic of project she did last week.\At first glance it looks like a simple card but she created an ornament to give with card from my design Free Christmas Angel Cutting File SVG GSD MTC and KNK. I think she did a GREAT job ad thank you so much for taking the time to take a photo and share with me Diane! Hi all- been very hectic few days. Server for my website was corrupted and spent last 2 days trying to get everything back up and running. LOOKS like it might be okaynow. I have been trying to hunt down font from the movie poster ” A Christmas Story” my ALL time Favourite Christmas movie! During my hunt, I saw several vintage-style images and I sort of morphed this one to use as a Scrapbook title page or Christmas card. I love the vintage/ Norman Rockwell feel of it. The fonts I used were Preciosa and and Santa’s Sleigh both of them free. I have an idea for cards I am going to try and squeeze in involving lots of glitter :-). Some good news- got my Doublemates s card stock paper in from my LSS that I ordered in JUNE!!! !I was bit disappointed because she could only get it in 81/2 x11 size and I wanted 12×12. I took it anyway but sort of a waste. I have 50 sheets of each colour and I am rapidly becoming one of those scrapbookers who NEEDS a special paper shelf just for paper! I cannot believe that where I am heading. back ordered and may not be able to get again… I was getting desperate for some nice solid red card stock to use as base for cards and very happy with the Berry Red that came in. I did do draw and will annouthe nce winner when they get back to me so I can confirm. If you don’t want to miss any of my free cutting files- add yourself to my Quilling Patch mailing list I only send emails out with new free file posting- no spam, no discussions, etc. This digital Vintage Jingle Bells Title craft cutter file is available in GSD WPC KNK and SVG. For more information on different types of cutting files, read Cutting Files Explained. Free Vintage Jingle Bells Title GSD cutting file can be used with(QuicKutz) Silhouette machines, Xyron Wishblade and Craft Robo. You just use the regular Robo Master that comes with your digital cutter..
Free Vintage Jingle Bells Title KNK Cutting File is used with Klic n Kut ( KNK Element, Maxx, KNK Groove, etc) OR use KNK Studio GE software with your Craft Robo, Wishblade or Silhouette die cutter. Free Vintage Jingle Bells Title in MTC ( Make the Cut ) format is for use with Make the Cut 3rd party software.software and can be used with most digital craft cutting machines; including, Pazzles Inspiration , Bosscut Gazelle , Silhouette and KNK cutters etc. Gallery for all QP Paper Doll Cutting Files. View and Download all the QP Paper Dolls. Perler Beads is t he brand name for “fusable beads” . You create a patten with the colour beads and then fuse or melt them together with a sheet of parchment paper and a very warm iron. You can buy Perler beads at most craft stores as well as places like Wal-Mart as well as online. I have found some excellent deals on Perler beads at Amazon . 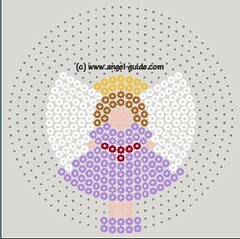 www.angel-guide.com has a really nice free Christmas Angel Perler bead pattern to hang or use as an ornament. 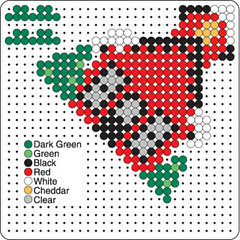 The original Perler bead site has tons of free Christmas patterns. Make Perler bead stocking, snowmen, christmas trees and more. The site is all in Flash so can/t give you direct link. Click on projects and the scroll to holidays. They have a reall nice Perler bead Advent calendar to make and all their designs are free. 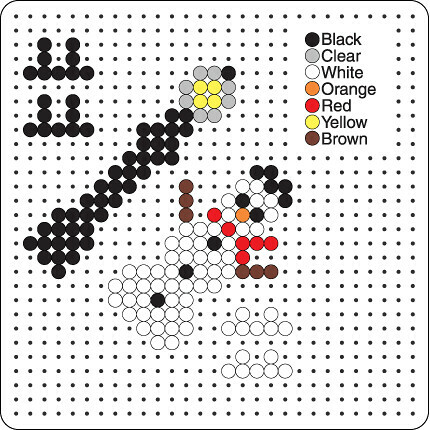 If you would like to share a free Perler bead pattern. please post in comment with your link . Thanks! These are LITERALLY world famous. They are the best shortbread cookies you will ever taste. Spread the batter into 2 pie plates or rectangular 9×13 pan. Bake for 20 -25 mins- check often and remove from oven when golden or pale brown. Prick with fork all over surface. Cut when still warm ( the shortbread get very hard and will be impossible to cut when cooled). Store in cool dry place .